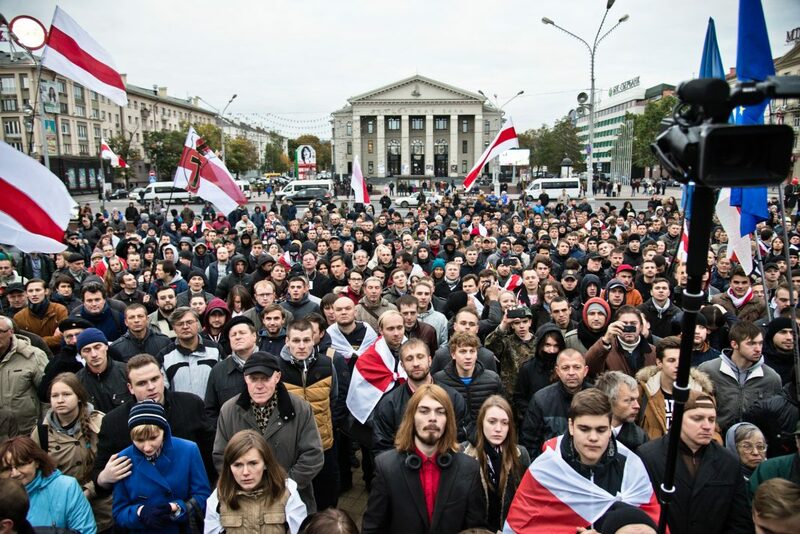 A protest of the democratic opposition in Minsk. “It is with great concern that we have followed the local election campaign in Belarus. The people of Belarus have been once again deprived of their freedom of expression, information and of their rights to democratically choose their local representatives. The authorities of Belarus have not made any steps to bring the electoral process into compliance with the criteria of free and fair elections in accordance with OSCE standards. These elections, like many others, have been dominated by massive falsifications, suppression of the opposition representatives, unfair formation of election commissions, media manipulation, and attacks on the independent media. The authorities must immediately reform the electoral law according to OSCE standards. It must allow for the registration of civil and political organisations, such as Belarusian Christian Democracy Party and NGO Spring96; it must also stop persecuting the opposition and the independent media outlets, in particular the Belarus Partisan and Charter 97.